Shaw Equinox is an engineered hardwood flooring that is part of the Shaw Green Edge. The hardwood floor you put in your home is part of an initiative to help the environment. Part of the Epic hardwood collection, Equinox hardwood plank is available in two traditional colors to bring the warmth of oak flooring to your home at cheap discount hardwood prices. The Equinox hardwood flooring collection allows you to own a flooring that is environmentally friendly, but still brings your home the warmth and luster of quality hardwood flooring. Equinox hardwood flooring is durable, easy to care for, and has a structural integrity with moisture resistance that can last for decades to come. Equinox hardwood flooring comes with DuraShield finish to provide your floor with outstanding wear resistance and stain protection. Because of the structural integrity and moisture resistance of the Equinox hardwood flooring, it can be installed below, on and above grade to accent any room in your home. Shaw's Epic Hardwood Flooring features EnviroCore, a high density fiber core derived from recycled wood fiber. 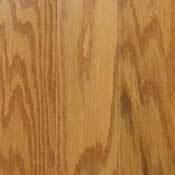 This enables fewer trees which are used to produce quality hardwood flooring, and less waste. Epic hardwood uses up to 67% less harvested wood than comparable solid wood flooring and it comes from managed forests. Epic Hardwood Flooring is part of the Shaw Green Edge. Great care goes into each and every flooring product from Shaw. Epic Hardwood Flooring is no exception, and because it is part of the Shaw Green Edge, it has many advantages. EPIC hardwood's dense inner layer, EnviroCore, is composed of valuable wood fiber that's created in the manufacture of other products, especially sawmill by-products that would otherwise be burned or put into landfills. 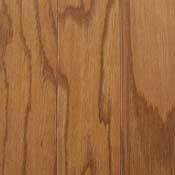 Consumers will be glad to know Epic hardwood's distinctive finish is protected by DuraShield. This aluminum oxide enriched finish lasts up to seven times longer than conventional UV cured urethanes. Upgrade products in the Epic-Hardwood Collection are warranted for as long as you own your home! However, if you should decide at some future point that another wood color would better suit your changing decor, Epic 3/4" hardwoods may be sanded and refinished up to two times, rather than replacing them! That's one more way Shaw works to save the green resources of our planet and reduce landfill use. All Shaw Epic hardwoods are made in the USA! Epic engineered hardwoods in oak, hickory or walnut are warranted to be installed over approved radiant heated subfloors when using approved methods of installation. All the wood veneers used to create the stunning grains and visual appeal of Epic hardwood are obtained from suppliers who are committed to being good stewards of our environment through sound forestry practices. Species include: Oak, Maple, Hickory, Walnut and Cherry. When site conditions are climate controlled prior to and during installation, zero acclimation time is required, allowing Epic hardwood to be installed faster and more efficiently than conventional alternatives. Unlike solid wood flooring, EPIC can even be installed over concrete subfloors. Now you can enjoy beautiful hardwood flooring virtually anywhere in your home!